Murdo Macleod was Junior Counsel to Lamin Khalifa FHIMA, the second Libyan accused, alongside Abdel Basset Al-Megrahi, of mass murder in the bombing of Pan Am flight 103 over Lockerbie in December 1988. His client was acquitted while Megrahi was found guilty. Macleod graduated in law in 1990 (LLB with Honours and the Diploma in Legal Practice). He also holds a Diploma in Trial Advocacy from the National Institute for trial Advocacy Training (NITA), in Boulder, Colorado. In 1994 he was called to the Bar in Scotland and to the Bar in England and Wales in 2011. He became a Queen’s Counsellor (QC) in 2008. He began his career in the Crown Office before moving to private practice as a solicitor, gaining experience in criminal cases. He was admitted to the Faculty of Advocates in Scotland in 1994. In 1998 he was appointed ad hoc Crown Counsel and from 1999-2001 he was Junior Counsel for Lamin Fhima, the second of the two Lockerbie accused. From 2001-2003 he was a Crown Counsel (Advocate Depute) and from 2004-2005, Senior Crown Counsel (Senior Advocate Depute). In 2005 he was appointed Counsel to the controversial Billy Wright inquiry. Billy “King Rat” Wright was a prominent figure in Ulster loyalist terrorism who was murdered while serving a sentence in the Maze prison in Northern Ireland. He was appointed a part-Time Sheriff (auxiliary judge) in 2011 and in 2012 he was the UK delegate to the Criminal Law Committee of the Council of Bars and law Societies of Europe (CCBE). Most recently, he was Defence Counsel for the trial in Scotland on charges of perjury of Andy Coulson, former editor of the News of the World newspaper. It was Macleod’s assertion that the Prosecution had failed to demonstrate that there was case to answer that resulted in Coulson’s acquittal. 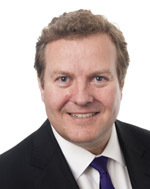 Murdo Macleod is a member of Compass Chambers in Edinburgh and Temple Garden Chambers in London.